Jan. 9, 2019 – FPInnovations is currently supporting the first industrial implementation of the continuous precision drying technology. The process, that allows for the re-drying of selected lumber pieces at a given target moisture content (MC), is equipped with an MC measurement system, a decision support tool that is provided by SCS Forest Products by Finna Group (SCSFP), a FPInnovations member company. The moisture meter measurement determines whether the product requires re-drying or not. 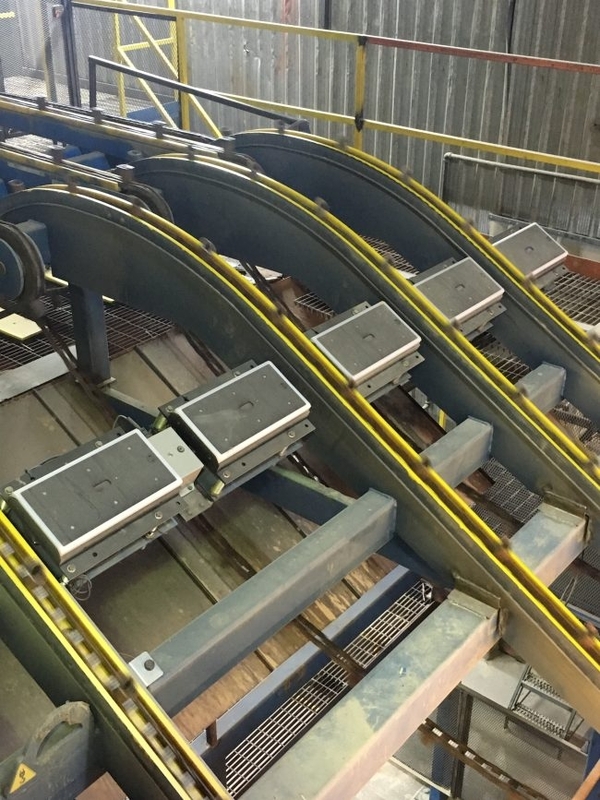 For FPInnovations’ Advanced Wood Manufacturing team, this is a step towards the development of technological solutions that can help achieve the desired levels of precision for the moisture content in an automated, reproducible and continuous way. In the course of this collaboration, FPInnovations helped optimize SCSFP system parameters for different product characteristics (species/dimensions) and wood temperature conditions with the goal of maximizing the accuracy of MC measurement. Moreover, FPInnovations developed another estimation method which demonstrated an improvement of 10 per cent to 50 per cent in precision of MC measurements. After being presented with these results, SCSFP was convinced to add FPInnovations’ new estimation method in their system for the needs of that specific project. From now on, their system will give the option to utilize optimized parameters or the new FPInnovations’s MC estimation method.